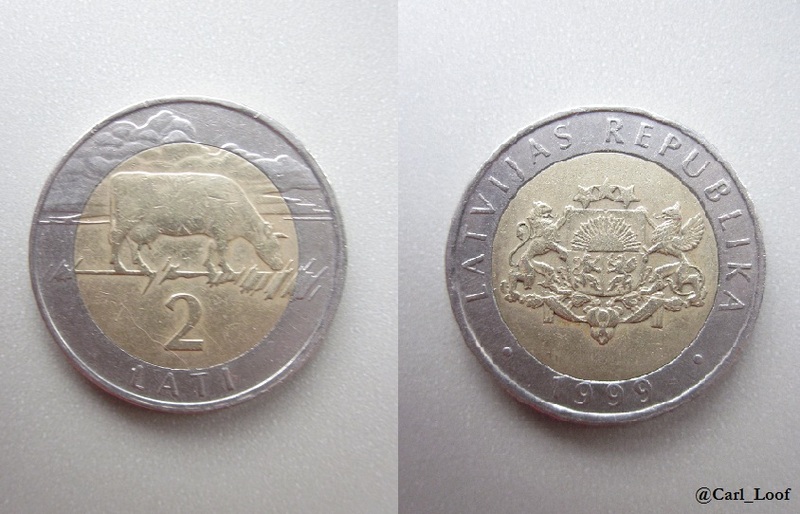 This is a very poetical Latvian coin. The lone cow with the clouds in the background is beautiful, almost like a miniature piece of art. It’s a very uncommon motive, but a proof that many things looks good on coins. On the other side is the coat of arms of Latvia. Esthetically it’s a very nice coin and the two different metals also contribute to this.